May 28th, 2017 marks the 72nd commemoration of the Cossack Massacre in Lienz, Austria. Cossacks around the world attend memorial services and remember the terrible tragedy that took place on this day 72 years ago. In 2011, during the 66th commemoration at the Cossack Cemetery in New Jersey, we meet with the ten remaining survivors who shared personal stories and memories of the tragedy that unfolded before their eyes. Here is an interview with some of survivors recorded and published on May 30th, 2011. 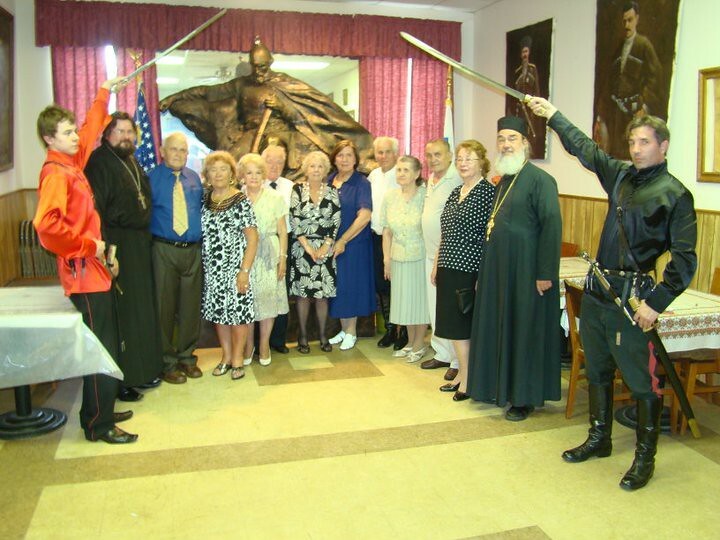 The remaining ten survivors of the Cossack Massacre in Lienz, Austria 1945 at the Cossack Hall in Howell, New Jersey.